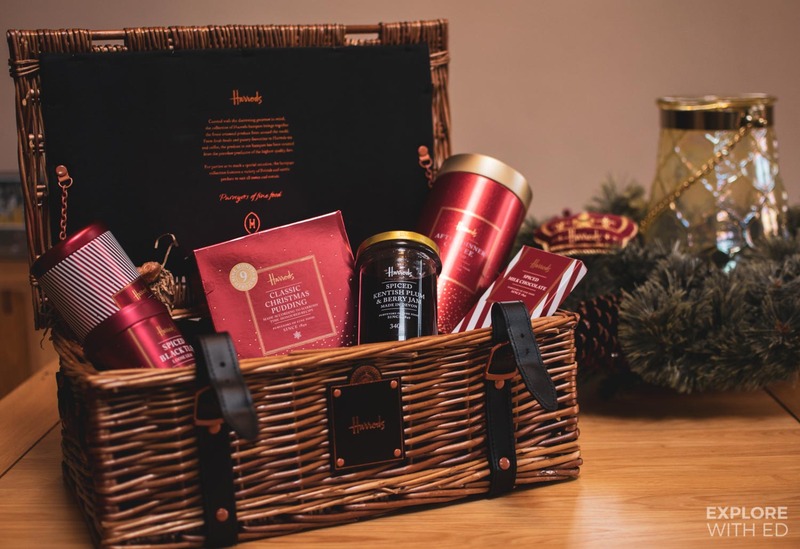 I’m starting the festive season with a touch of luxury thanks to Harrods who’ve gifted me one of their Christmas Hampers. 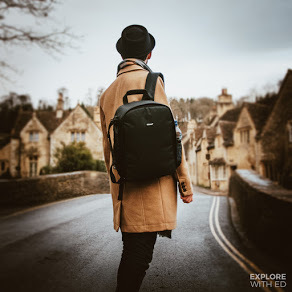 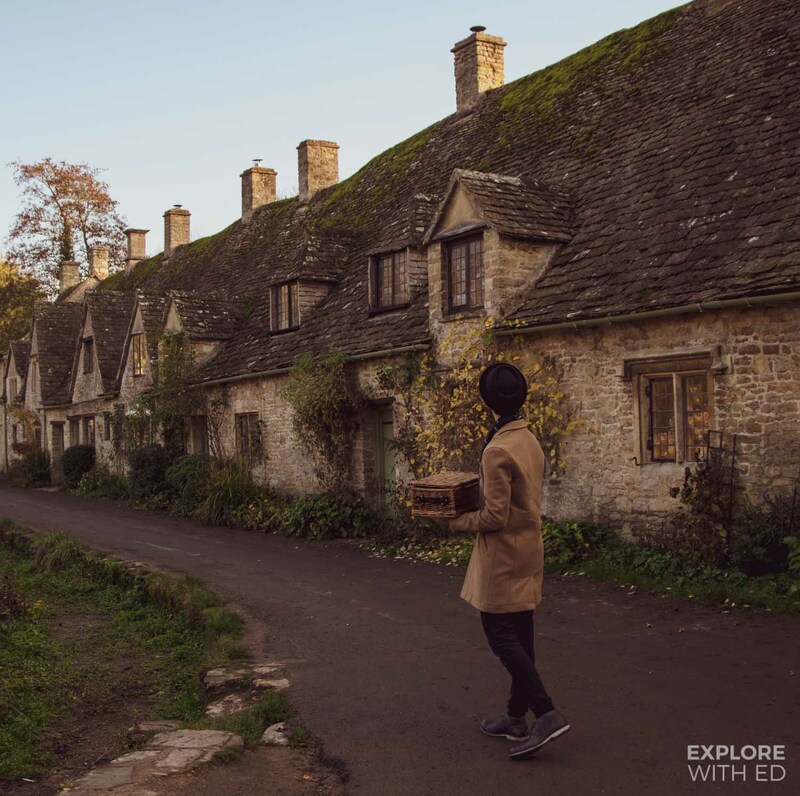 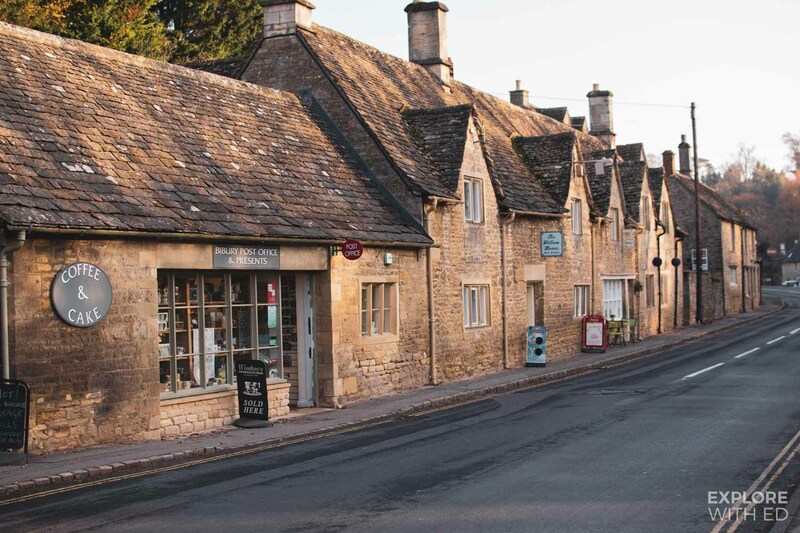 I took it with me to The Cotswold village of Bibury because Arlington Row and Harrods are iconic symbols of the UK, loved by both Brits and international visitors. 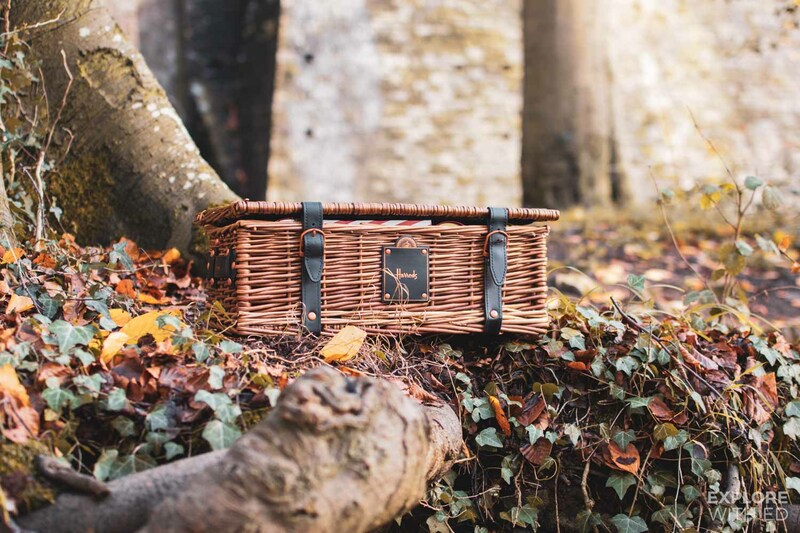 The Harrods wicker box is foam cushioned and snuggly fastened with leather buckles and feels very sturdy for a road trip around the English countryside. 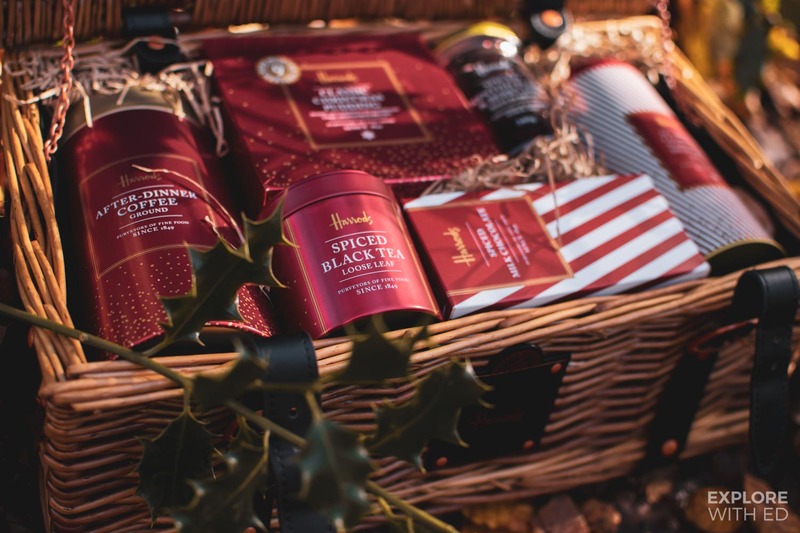 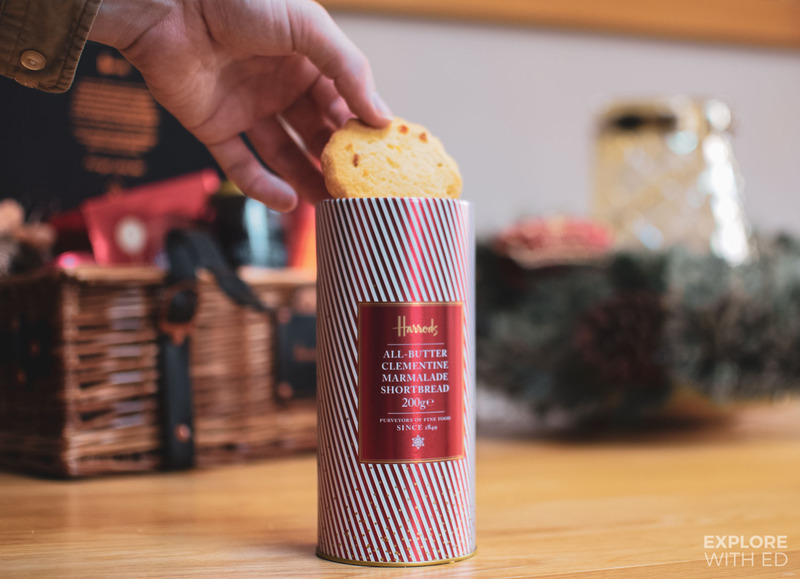 The Chelsea Christmas Hamper has a variety of after dinner treats, including Harrods spiced black tea, milk chocolate, after-dinner coffee, Christmas pudding, plum jam and shortbread. 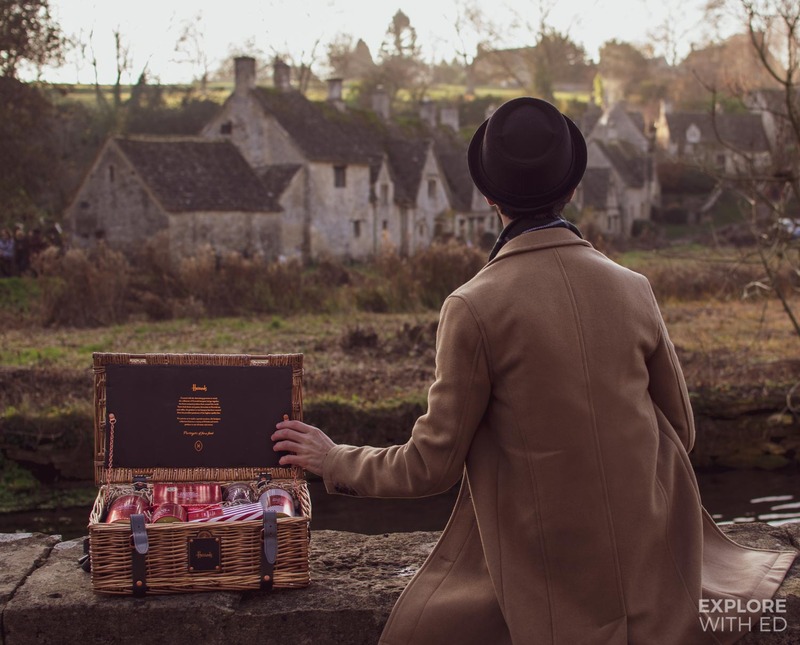 The 14th century cottages and smoky air provided the perfect backdrop for the hamper, all that was missing was a comfortable arm chair and wood burner. 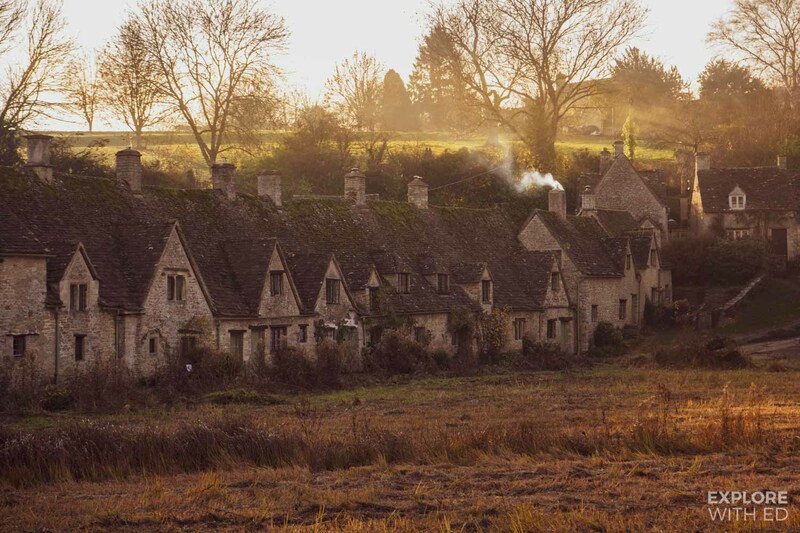 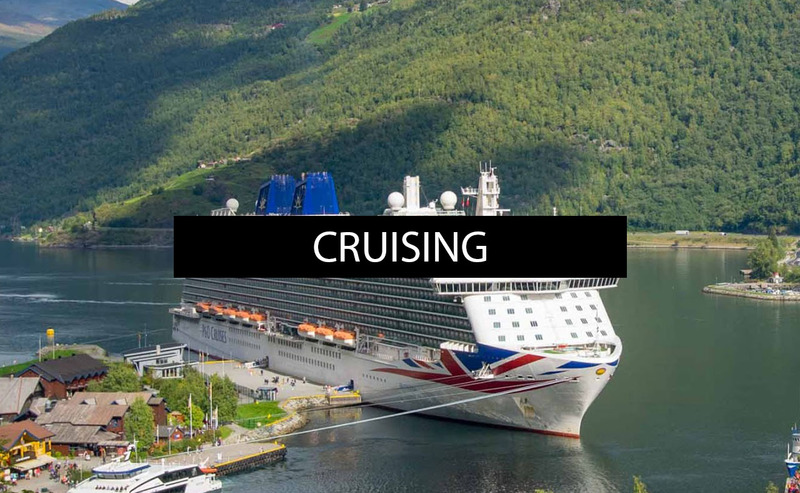 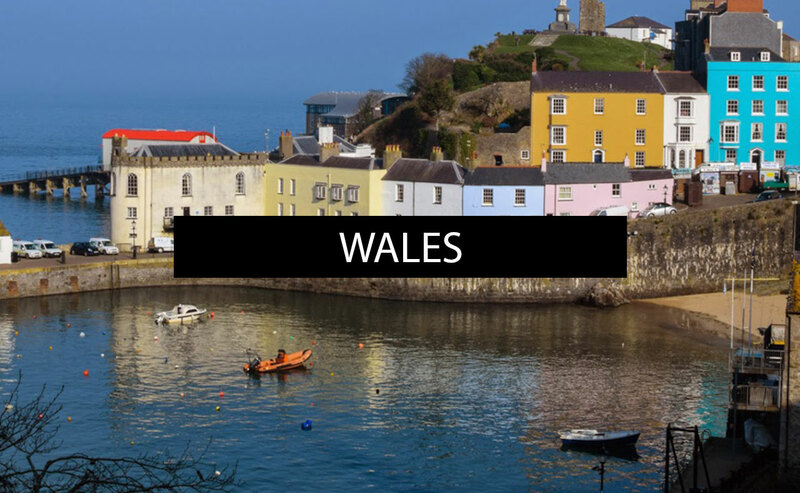 In fact you can find this in 9 Arlington Row, a holiday retreat managed by the National Trust. 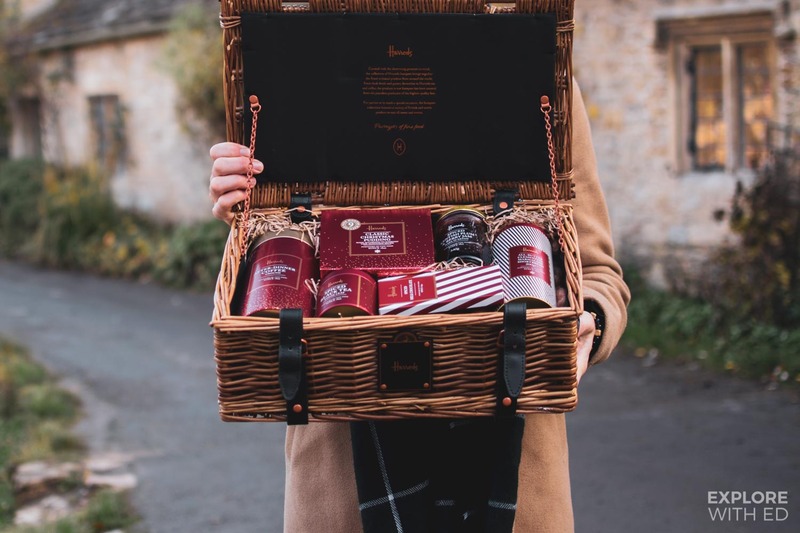 The Harrods Hamper range caters to all budgets and occasions, from under £100 to the £5,000 ‘Ultimate Hamper’. 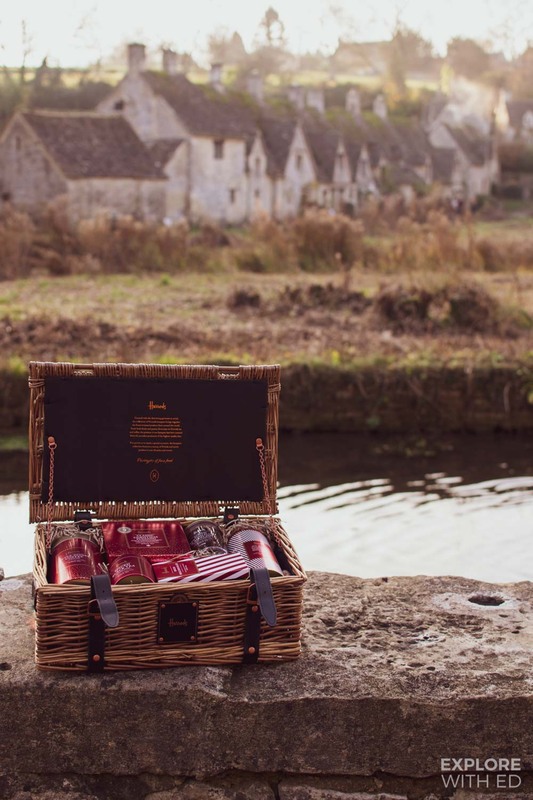 The Chelsea is £75 before delivery as they ship many of their products globally. 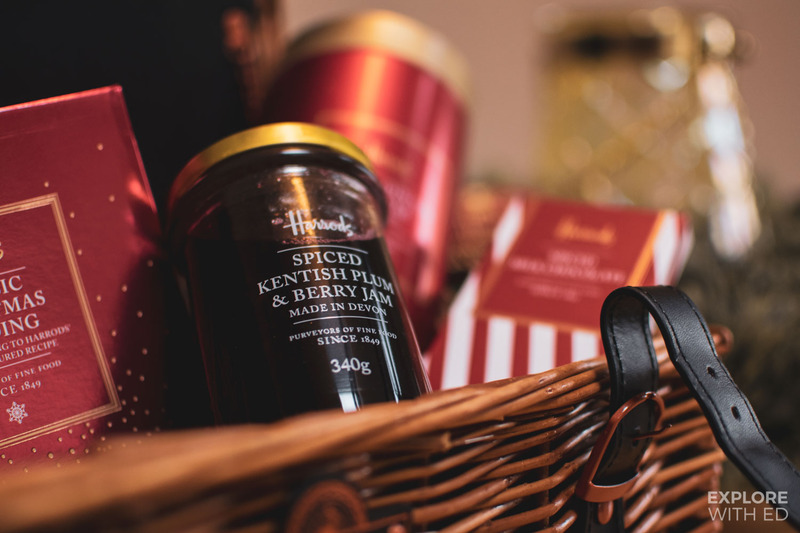 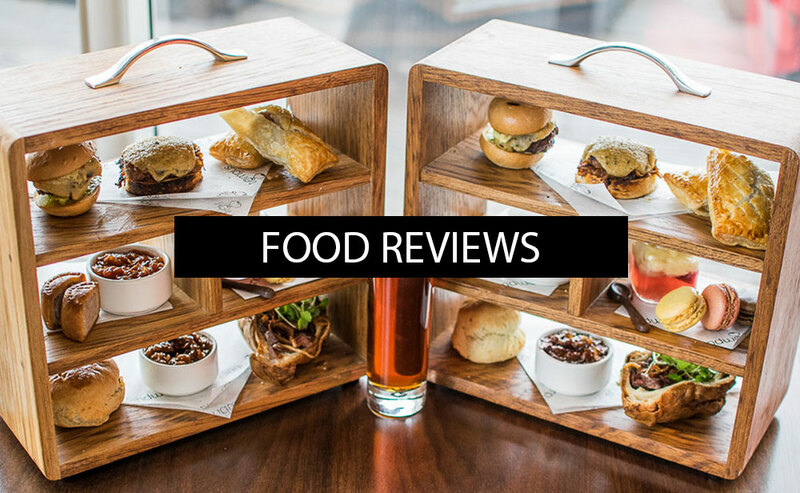 Disclosure: A gifted hamper from Harrods, all opinions are my own.